Who’s the most influential royal? Cape Town - The Duchess of Cambridge has had a seven-year head-start as a royal on the Duchess of Sussex – and Kate’s experience clearly counts in her favour as she’s once again been declared the “most powerful royal influencer” in the United States. According to Brand Finance’s British Luxury 2018 survey, if Kate wears a product it increases the item’s desirability among 38% of US shoppers. Meghan comes in at second place, with Prince Harry and Prince William in third and fourth places respectively. This means despite Meghan’s growing popularity and adoration from the public, the duchess still has a thing or two to learn from her sister-in-law – because when Kate wears something, the US sits up and takes note. But Meghan is hot on her heels. The survey found Meghan (37) improves desirability of whatever item she wears by 35% – just three percent behind her sister-in-law. The green, bow-detail dress by Italian designer P.A.R.O.S.H. that Meghan wore for her and Prince Harry’s engagement announcement in November last year sold out in an hour, founder of label Paolo Rossello told The Telegraph. Then there was the belted wool coat she wore for a surprise visit to Belfast, Ireland in March, which sold out in less than an hour, Daily Mail reports. 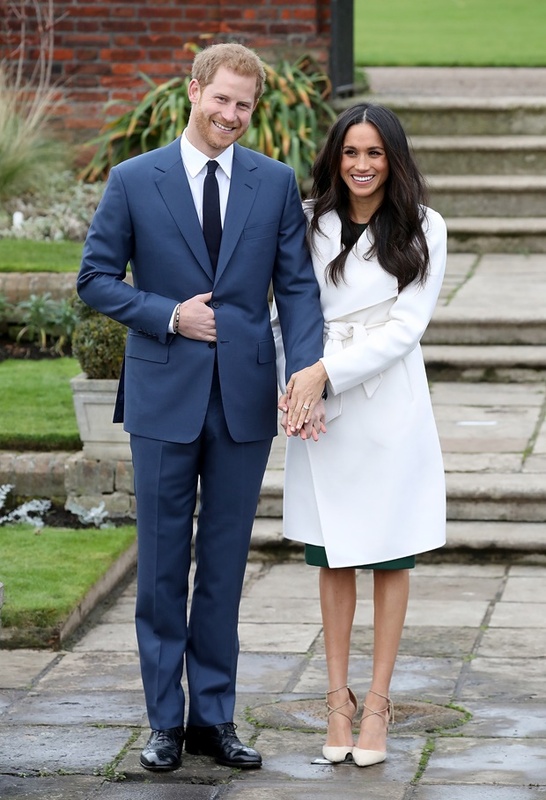 Harry and Meghan touched down just before 11:00 and by midday the coat, by Canadian designer Mackage, was already out of stock. The striped Zara dress she wore to a polo match in June sold out in minutes. After she was pictured in 2016 in a red mini dress by LK Bennett, which cost about R4 300, it too sold out in minutes. The black-and-white polka dress by ASOS that a pregnant Kate donned in March 2015 sold out within 30 minutes of her stepping out of a car and being photographed.